I have been waiting so long to get this book from Amanda Rettke into my hands. A labor of love and a whoooooooole bunch of flour and sugar, Amanda from i am baker has given all of us a wonderful gift with her first cookbook, Surprise-Inside Cakes. As you can probably guess from my own site design, I was drawn to this Cherry Cake. It speaks to me. Can you just imagine this cake sitting before you on a pretty cake pedestal? If someone (Amanda…hint, hint) made this for me, I’d be so tickled. The cheery exterior design of the cake alone would be enough, but then to slice it open to find the surprise-inside cherries…delightful!! 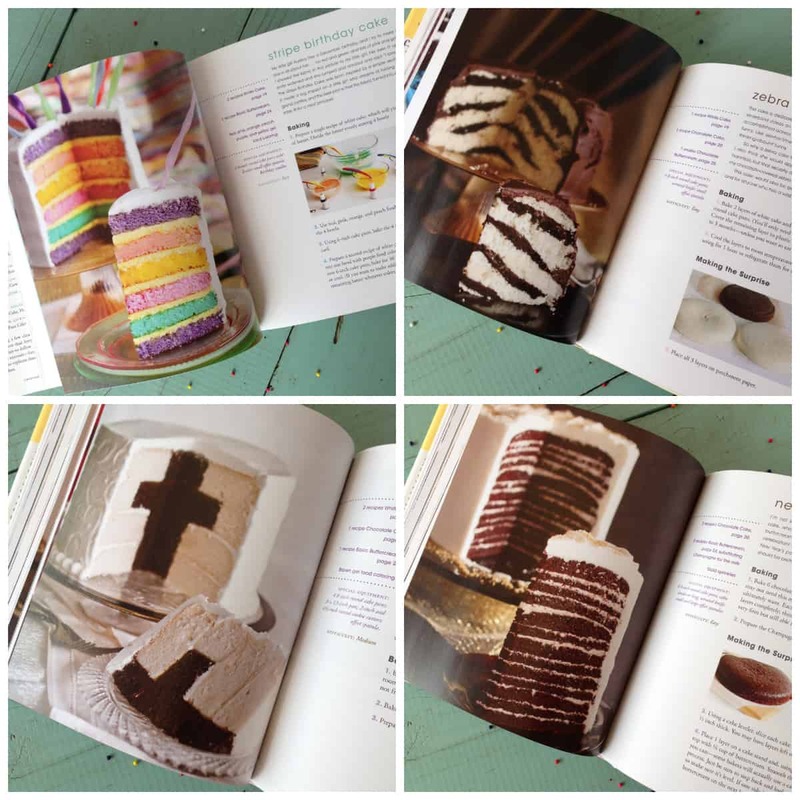 I cannot believe the detail that Amanda has included within these pages, equipping all of us with her years of surprise-inside wisdom to create special cakes of our own, in our very own kitchens. For every cake, there are large gorgeous photos of both the exterior and the surprise-inside interior. AND plenty of step-by-step photos and instructions and helpful hints for bakers of every skill level. Amanda makes celebrating all of life’s greatest occasions so much fun! How awesome would it be to serve this Stripe Birthday Cake for a special someone’s birthday celebration? And that Zebra Cake…I see that in our future, for sure, for our animal loving youngest daughter. The Cross Cake would make anybody’s Baptism, First Communion or Confirmation day extra special. 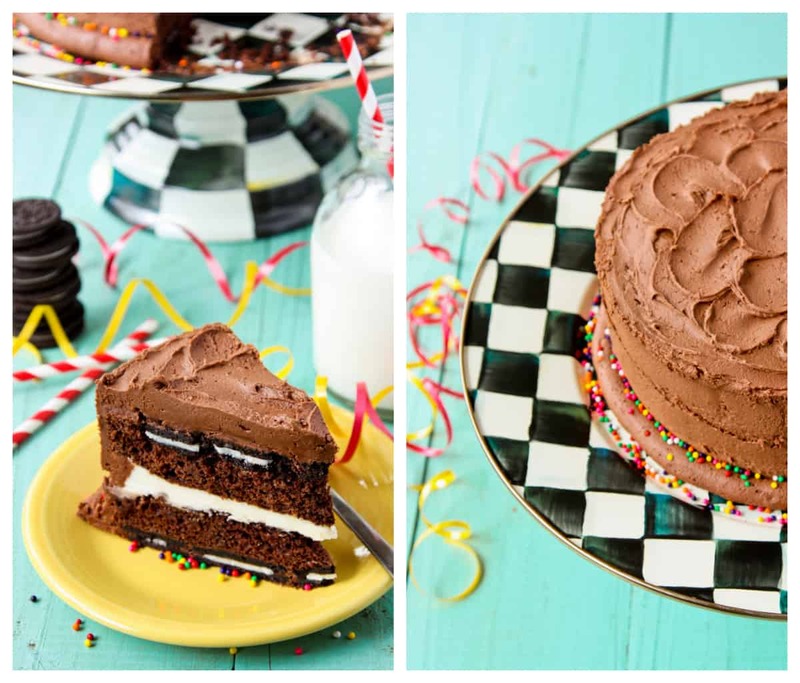 And can you imagine a slice of that mile-high layered chocolate New Year’s Eve Cake to ring in the new year?! Fabulous! This is one of my very favorite cakes, the Rudolph Cake. 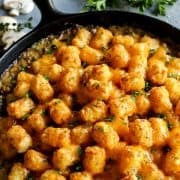 Our girls love it, too, and want to give this one a try when Christmas rolls around. I also like the sweet little story Amanda included with this one, about her young niece’s ability to recite all the names of Santa’s reindeer. Amanda finds ways to include little stories and tidbits of her life with each cake, making each creation even more special. This Miniature Heart Cake is nothing short of stunning. I love how big and bold it appears from the outside, only to slice into it to find the striking contrast of red frosting to white cake, with a little singular heart on the inside. So sweet! And I made this Oreo Surprise-Inside Cake for our daughter’s birthday, my very first surprise-inside cake. Hatti was so excited to have one of Amanda’s cakes made for her. And the rest of us were, too. 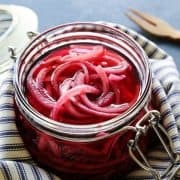 Because it’s crazy fun and delicious!! My cake in the photos above is finished just a bit differently than the one in Amanda’s book, as I wanted a little different look for our birthday celebration. 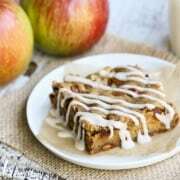 For the recipe, click here! 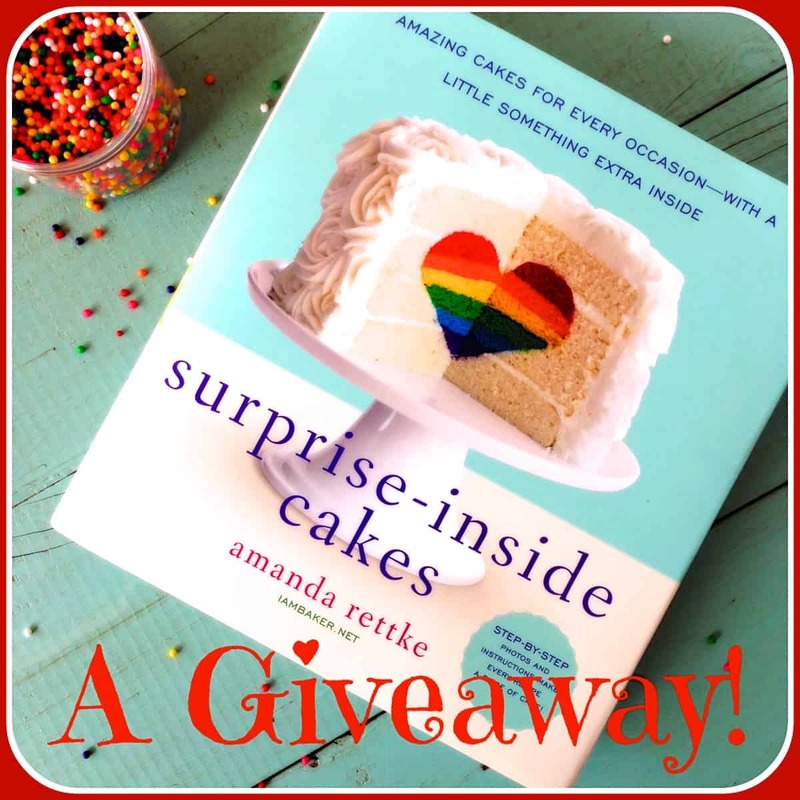 To celebrate Amanda’s new book, we’re giving away one copy of Surprise-Inside Cakes! This giveaway is now closed! The winner was #159 – Ann Fritz. Simply LEAVE A COMMENT below telling me who deserves a special surprise-inside cake, and why. And for a second entry, TWEET the following: “I ♥ #SurpriseInsideCakes from @iambakertweets. Enter cookbook #giveaway at @farmgirlsdabble!” Then let me know you tweeted by leaving the tweet URL in a second comment below. Be sure to check out more of Amanda’s baking creativity by visiting her site i am baker and following her on facebook, twitter, Pinterest, and Instagram. You can also get up close and personal with Amanda by enrolling in her online Craftsy class, Decorating From the Inside Out. How cool is that?! AND if you are in the Twin Cities area, be sure to get your ticket to this Friday night’s event at Kitchen in the Market. Amanda will be making a surprise-inside cake before your very eyes, plus you’ll get to try out frosting techniques yourself. All while sipping a glass of bubbly! 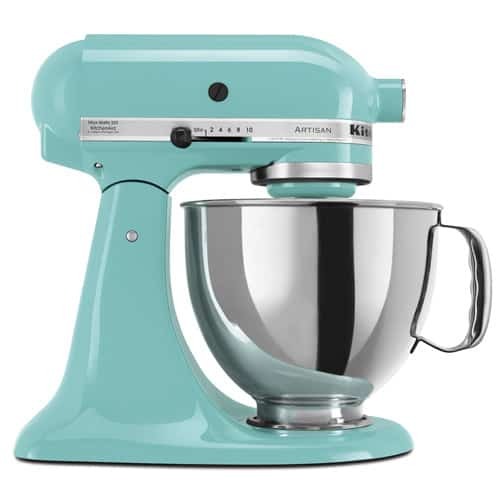 A KitchenAid stand mixer will also be given away at this event! I have MY ticket. How about YOU?! Giveaway Rules: This giveaway is open to US residents 18 years and older. One winner will be chosen at random and then notified by email. Winner will have 48 hours to respond and claim their prize, or another winner will be selected. A farmgirl’s dabbles and i am baker are not responsible for lost or undelivered emails. Giveaway ends at 9:00 pm on Monday, April 7th. 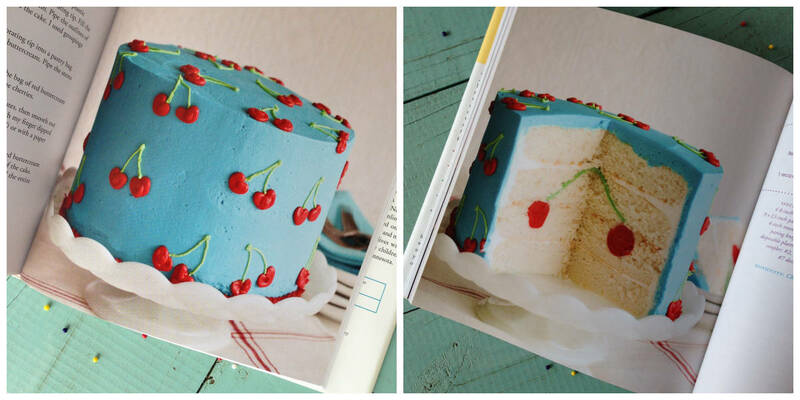 Disclosure: I received a copy of Surprise-Inside Cakes for my review and happy cake creating in our own kitchen. I was not compensated to write this post. All opinions are my own. MY SON AND HIS FIANCE, THEY HAVE ASKED ME TO MAKE THE GROOMS CAKE FOR THE WEDDING AND THIS WOULD BE A WONDERFUL SURPRISE FOR THEM ON THEIR BIG DAY!!!! My daughter does she has had a tough few years with 2 brothers in the USMC and a CRAZY mom and dad she is turning 16 in a few months and would love a special cake. I would love to win this book! I would love to make these special occasion cakes for my family! Thanks for the chance to win. This book looks awesome. What great pictures:) I would love to bake a cake for my brother and his children at Easter. We lost my sister in law on December 22nd right before Christmas with leukemina and I would love to put a smile on their faces! That’s what the pictures of these cakes do…they put a smile on your face! My sweet wonderful mom deserves a surprise inside cake. She is the most selfless person I know. My mama’s 65th birthday is just around the corner! I can never repay her for all that she has done for me, but that surprise inside cherry cake would be a great start! Who deserves a special cake? To me, it’s my daughter Jo. She’s been working two part time jobs for the past couple of years, struggling to make ends meet. She has two young adults at home going to college and I don’t know that I could have done as well. My 13 yr. old niece who’s had a tough time dealing w/her parents divorce. My sons deserve surprise inside cakes for their birthdays because they’re awesome kids! I deserve this book because I make a cake for each person in my family on each of their birthdays. I also make cakes for my sister’s kids and my brother’s kids. I guess I have turned into the official cake maker since I also make them for every special occasion. This book would be awesome so I can change things up. 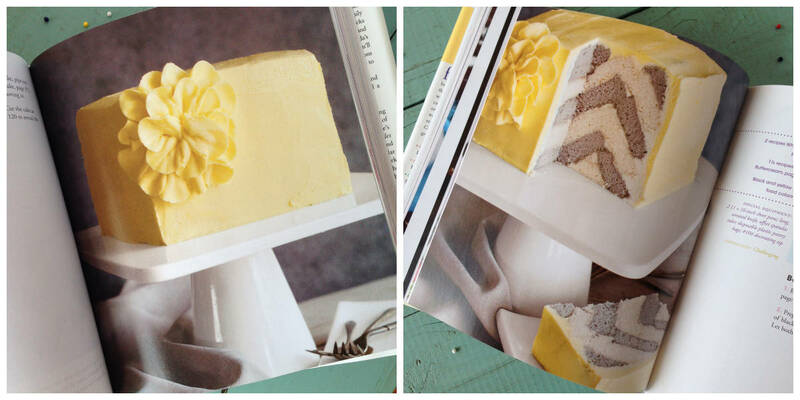 I love baking and love eating even more =) This book would get a lot of use around here! My mom deserves a surprise-inside cake because of everything she is going through right now. I would love to win this book. I would bake a cake for my brother, he’s always doing things for others so it would be nice to give him a special treat. My parents deserve a surprise inside cake! They just finished moving after downsizing since my 3 siblings and I don’t live at home anymore! I would make the cake for me. I love baking and am a pastry chef so I am used to making my own cakes. As a new mom I haven’t had the time to bake a lot and would love an adorable cake just for me. I would love to make a very special cake for my grandson. He is in the Army and will be coming home for a short time and then will be stationed in Virginia Beach. Our dear Nora deserves a surprise Cross inside her cake for her upcoming Confirmation celebration! My great family deserves a surprise inside cake! My mom deserves a cake. She is the kindest and most caring person I know. My husband deserves a special surprise inside cake. I was too ill to make him a cake for his birthday in January and I think this is just the kind of cake he would enjoy! 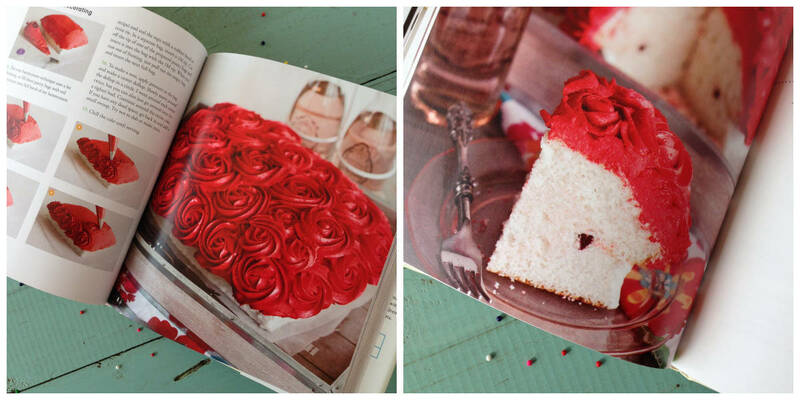 I would like to win this book so I can special surprise-inside cake for my parents 34th wedding anniversary. I would LOVE to receive this book! Such lovely cake creations! My two daughters would love spending their summer break baking these beautiful designs for their family and friends. Looks like a fun book, thanks for the chance to win. I need this cookbook so I can bake my three mini’s amazing cakes each year for their birthdays! I would love to make a surprise-inside cake for my husband, who has been fasting desserts for the Lenten season — and loves cake!! I Would Like To Add A Surprise To My Brother And Future Sister In Laws’ Wedding Cake. My Brother Was Paralyzed In A Car Accident 5 Years Ago, He Has Found The One And She Is Good To Him. She Is A Blessing! I would love to make a surprise inside cake for my daughter, Phoebe. She turns 7 in May. I would love to give my daughter Kelly a surprise inside out cake, she loves to bake and is away at college. She is a little homesick and would love this surprise! my niece deserves a surprise inside a cake because she loves surprises and cake!! My new Daughter in law would love a surprise inside cake. She is such a hard worker AND she tames my son! I love her to death! I would love to bake a surprise inside cake for my family for Easter. We have all gone in different directions lately, with my children graduating from college and moving to cities where they can find work in their related fields. My dad is aging and doesn’t keep in touch like he once could. This would be a very special occasion and treat for those I love the most. Thank you! This would be such an amazing book to win. Within the last few years, my mom started her road to recovery. She had a drinking problem and smoked, and was very unhealthy. She will soon hit an amazing milestone: one year of no smoking and three years of no drinking! We are incredibly proud of her, because she’s worked so hard to be a healthier, happier person. She deserves a sweet surprise of a cake, and so much more. My daughter… in celebration of her new job! My son who is recovering from drug addiction, he needs a little pick-me-up at times, & one of these cakes would be perfect! I would make one for my husband! I would love to make a cross in cake for our church lenten suppers. Thanks for the chance to enter. If I win, my sister would be the recipient of a great cake made by ME! That would be my Mom, who made special cut-out cakes every year for our birthdays growing up. Four kids with birthdays within 2 months….don’t know how she did it!! I’d make a cake for my dad, since he is celebrating his 70th birthday this month! My husband deserves a surprise inside cake. He has the biggest heart and is always willing to help people with whatever they need. I would make a cake for the dear folks at the Dialysis Center I go to three times a week. They are the most caring people and I love each and every one of them. I’d love to bring them the ♥ heart ♥ cake. My daughter deserves a beautiful cake because she is such a beautiful daughter. I would love to bake a cak out of this book for my 2 1/2yr old grandson. He always gets excited at surprises & I know he would love a cake like the ones in the book! My sister deserves a surprise-inside cake! She’s always baking things for me, I need to return the favor! I would make an inside cake for my Brian, as he never really gets a cake because his birthday is near christmas so there are already so many sweets around. Can’t wait to see you friday! I would make one for my husband. He’s been out of town so much for work lately, that this would be a nice surprise for him when he gets home. An Easter surprise cake would be awesome! My 3 year old would love one of these cakes for his birthday!! I would make a surprise inside cake for my boyfriend because he works so hard to take care of his children!!! My fiance deserves the cake with the cross in it. This Easter he will complete the process to become a full fledged adult member in my church and I am so proud of him! I’d make a surprise inside cake for my mother, because no one is more deserving, for all that my mother selflessly does. She’s my mom, my best friend, and my Angel. I can never do enough, for all that she does for me. My best friend deserves a cake one, because she’s turning 1/2 a century in a couple of months. I was just telling a friend that being artistic is not only limited to traditional art projects, but that I find the kitchen to be the place I love most for expressing creativity. I especially love baking sweets. Help me to create special artistic and delicious treats with a little something extra inside be choosing me! I have to say, today, it’s ME who deserves a surprise inside cake! Maybe two! I would make a surprise inside cake for my friend, K, first. She’s having a rough year personally and professionally and could use a pick-me-up like one of these cakes. 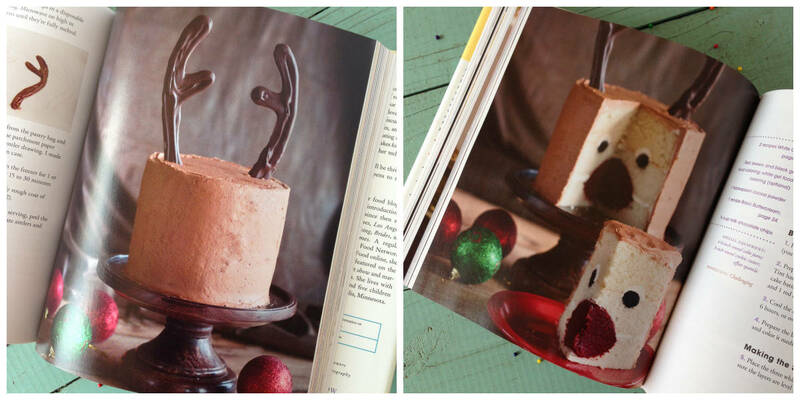 Would love to have the cookbook, the cakes are just awesome! One of my granddaugher’s as she has had a very rough year and I would like to see a smile back on her face. I would love to make one for my daughters first birthday party cake! My nephew for making the soccer team! My daughter really needs a surprise cake or any nice surprise. I am making all of the wedding cakes (dessert table) for my daughter’s wedding (about 250 people) and would love to surprise her and her groom-to-be with one or more of these cakes. I’d love to make a surprise cake for my boyfriend because he likes surprises! My daughter! She loves cake and loves to help me in the kitchen – so a little surprise for her!!! My father is turning 85 in two weeks – a surprise inside cake would be the best and sweetest surprise ever! My mom could use this! She is a trooper! But, I really don’t need a reason to get her something! I’d love to make a cake with a heart in the inside for my mom! She’s had a rough couple of years and really deserves something special. Of course, my mother deserves a surprise inside cake!!! my fiance deserves a surprise-inside cake. we’re about to move and i have been so stressed out (and a little short) lately and she has been so understanding and thoughtful, always picking up little surprises for me. i would love to surprise her with a cake! I’ve seen a couple of reviews of this book, but yours is the best of them. Love your photos! My granddaughter! She is the greatest! I’d like to make the cake with the mini heart inside for my husband on our anniversary this year. My little sister deserves a surprise cake for her birthday next week! Our family is celebrating about 6 birthday’s in April. I would make a cake for that Birthday celebration. my sister deserves a surprise cake who is graduating from law school next month!! My Grandson is my heart and I always make his birthday cakes. He will be celebrating his 10th birthday this May and I want to make him a fantastic surprise cake! My friends’ anniversary is coming up. They’ve been absolutely amazing to me and I’d love to surprise them with a cake like this. 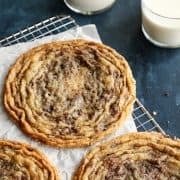 I love i am baker, and I’d love to make one of her cakes for my mom on Mother’s Day! My son who is 9. Love these ideas and an Easter cake like this would be great to make also a GRADUATION CAKE ALSO. Mini cakes like these would be great for BAKE SALES PARTIES ETC………. 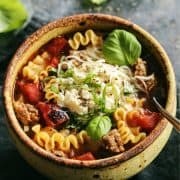 THANK YOU FOR ALL YOUR GREAT RECIPES AND IDEAS. My spinning group, as in wool spinning, deserve a cake like this – I would love to make it as a surprise for one of our get togethers…….and if I don’t win it I will just have to buy the book! Definitely my husband deserves a cake like this because he is the most thoughtful and giving person I have ever met. I Love you!!! My sister in law Shelley deserves a special inside cake because she is always thinking about others and never herself. My mom definitely deserves a surprise-inside cake. And her birthday is coming up…. Our 13 years old grandson who is working very hard at learning to cook and wants to try cakes now. This book would be a wonderful surprise for him. My husband! He works so hard to support our family. I would love to surprise my husband with a surprise-inside cake. He works so hard for our family and LOVES oreos! My sweet friend K would love one of these cakes! My oldest granddaughter turns 13 in May. She would love a surprise inside cake. My family deserves a prize inside cake because they are the best, loving and supportive family you can have. My sweet daughter deserves a surprise-inside cake! My husband!! He survived being hit head on by a drunk driver, traumatic brain injury and loss of a limb in 2011. Through positive attitude, sheer determination and the grace of God he survived and has just returned to work. He IS my hero and inspiration! My daughter’s golden birthday is coming up and she loves animal prints- she would love that zebra cake! My mil deserves a surprise inside cake – she would absolutely LOVE it! She’s been ill and it would be a great treat for her. My parents, who will celebrate their 30th anniversary this year, and my boyfriend, who is amazing. I’d love to surprise my husband with one – and invite my in-laws over, too. I don’t normally bake cakes so it would be extra special. We’re expecting our first baby any day now and they’ve all been so sweet and supportive during these past 9 months! My husband whom I’d love to bake the heart inside cake for, but he’s an oreo freak so it would have to be the giant double stuffed oreo cake!! My sister deserves a special cake. She has been through a lot lately, and I am amazed on her strength and perseverance. I WOULD LOVE TO MAKE A CAKE FOR A VERY SPECIAL NEIGHBOR, SHE IS SO THOUGHTFUL! For my fabulous children. Both inspirational artists! 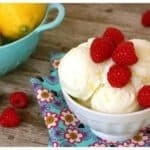 My son gave up sweets for lent and I would love to reward him on Easter! Just watching you with your son. Love your style, love your beautiful family! 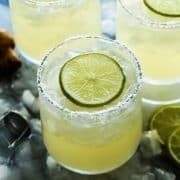 My coworker Patrick deserves one. He’s moving away for a new job, but while he is here, he is always so patient and willing to try the strange things I bake on the regular. We’re all going to miss him when he goes, but before he does, I want to give him an extra-special sendoff dessert this time! Would love to make one of these cakes for my 89 year old grandmother, she has quite the sweet tooth! My Mom’s 80th birthday is in December and I know that she would really get a kick out of having a special surprise inside her birthday cake this year! 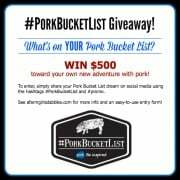 I would love to be your giveaway winner! My grandson would be so excited with a cake that has a surprise inside!! He would love it!!! My boyfriend! He’s in his final months of residency for pharmacy. He’s lucky if he gets even 6 hours of sleep a night! A fun cake would brighten his crazy long days! My son deserves a surprise-inside cake featuring Spot, the puppy, for his upcoming 8 month birthday. I would love to make a surprise inside cake for my daughter’s birthday which is coming up in April. She would love it and would also love this cookbook!! I think my mom deserves a surprise-inside cake. She works so hard and never treats herself. This cake would definitely be a treat! My grandson, for his birthday! I posted a tweet: https://twitter.com/FireRunner2379/status/448099624713072641. My daughter is almost 18, I would love to make her a surprise inside cake ! My father and i usually have a bake off at christmas – who can make the best christmas cake… I am interested to try the technique of Rudolph, but using fruit cake and sponge combined if possible… plus some of the other designs look fab too, would lov to give some of them a go for my neice and nephews birthdays, valentines day etc! My husband!!! He works so very hard for our family so that I can stay home with our very special needs son. My friend Christine. She’s had such a tough year, and I would love to bake her a surprise cake! Plus she in turn would LOVE to make these cakes. My Mom! It’s her 70th Birthday! My husband–he has taken such great care of me while I’ve been pregnant! My mother! She’s the best! I would love to do a cake like this for my mom’s 60th birthday this summer! She would love it! My mom deserves a surprise inside cake. She is a wonderful mother, supporter, and friend….and loves cake! I’d love to make that cherry cake for my sister when she comes to visit me. She loves cherries and would just be giddy! My wonderful husband! He works full time, and goes to school full time getting his masters, and still spends so much time with our two boys and I! Our children are twins turning thirty-two on Easter Sunday. Both are married with babies and could use some special attention just for them. I’d love to make them a surprise inside birthday cake! My parents need a surprise inside cake to celebrate their 61st wedding anniversary Next week! I tink I will have to make the OreoSurprise Cake! My daughter is a baker, cake decorator ……. She would love your cakes and your recipes. I have never seen anything like these cakes.